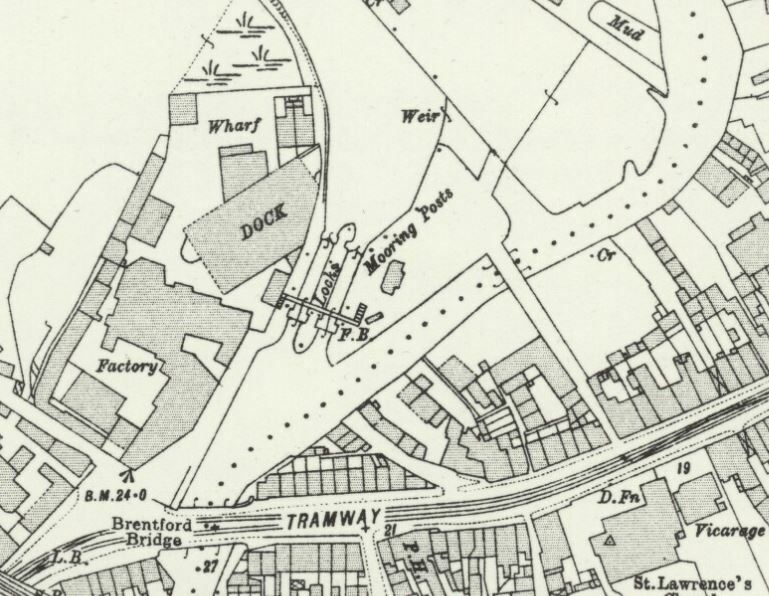 The section above from the 1912 OS map, 25 inches to the mile, shows the area around the locks and the High Street, with its new tramway, to the south. The locks link the Thames to the Grand Junction Canal, the river Brent following a more winding route to the east; the parish boundary, marked by dots, runs along it. Brentford Lock could only provide access to the canal at high tide and this led to the construction of Thames Lock downstream, near the end of Dock Road, at some point before 1818. Returning to the map above, Brentford Bridge at the western end of the High Street is marked, also St Lawrence's Church and vicarage. Hopefully enough landmarks to work from. 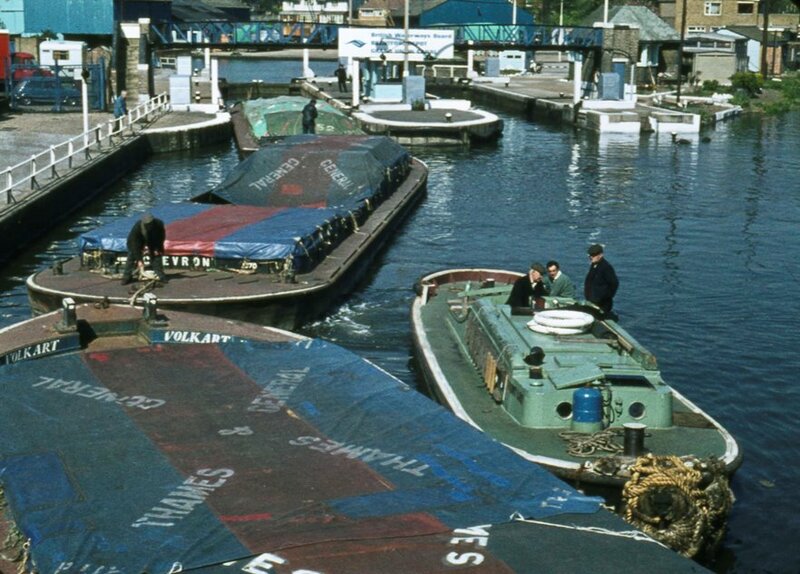 The photo below looks northwards towards the locks, possibly taken from Brentford Bridge. The Toll House, built in 1911, is visible at the right end of the footbridge. There are plenty of distinctive shapes to help match photo and map. The site has a postcard from the early 1900s taken from a similar vantage point and this has links to later views.